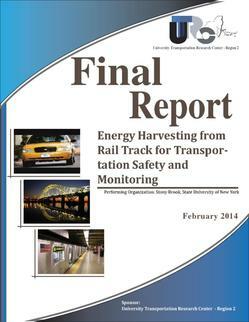 The University Transportation Research Center (UTRC) Publishes the Final Report: "Energy Harvesting from Rail Track for Transportation Safety and Monitoring"
UTRC has released a final report for the research titled: "Energy Harvesting from Rail Track for Transportation Safety and Monitoring", funded by UTRC. The principal investigator was Dr. Lei Zuo, an associate professor of Mechanical Engineering at the Stony Brook University/SUNY. 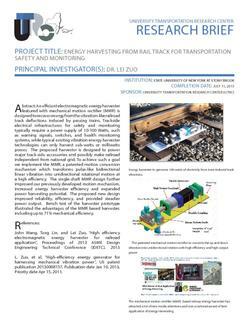 "An efficient electromagnetic energy harvester featured with mechanical motion rectifier (MMR) is designed to recover energy from the vibration-like railroad track deflections induced by passing trains. Comparing to typical existing vibration energy harvester technologies can only harvest sub-watts or milliwatts power applications, the proposed harvester is designed to power major track-side accessories and possibly make railroad independent from national grid. Trackside electrical infrastructures for safety and monitoring typically require a power supply of 10-100 Watts, such as warning signals, switches, and health monitoring systems. To achieve such a goal we implement the MMR, a patented motion conversion mechanism which transforms pulse-like bidirectional linear vibration into unidirectional rotational motion at a high efficiency. The single-shaft MMR design further improved our previously developed motion mechanism, increased energy harvester efficiency and expanded power harvesting potential. Major advantages of implementing MMR include bidirectional to unidirectional motion conversion and flywheel speed regulation. 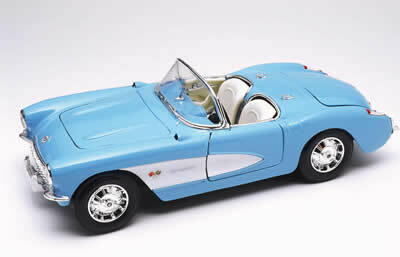 The proposed new design improved reliability, efficiency, and provided steadier power output. Bench test of the harvester prototype illustrate the advantages of the MMR based harvester, including up to 71% mechanical efficiency and 50W power output".